Why Choose Omega D Oil? Vitamin D is essential for calcium absorption and vital for bone development and strength. Omega D is made from the highest grade cold pressed oil. 2 Litres lasts 66 days, significantly outlasts similar products on the market. "Giving Omega D Oil can help your horse to shine inside and out." 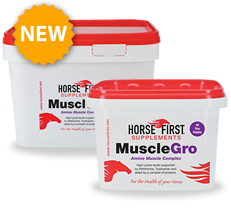 Leisure horse and broodmares: After moderate work: Add one 50g scoop to feed daily. Horses in work: Add 60ml to feed daily.